Tuesday evening I had the pleasure of attending the Center Court Soiree benefiting the Boys and Girls Club of Palm Beach County. Chairpersons Jeff and Lana Dever and friends rendezvoused at the Delray Beach International Tennis Championships (ITC) hospitality pavilion for cocktails and hors d’oeuvres plus mingling with some of the ATP Players. 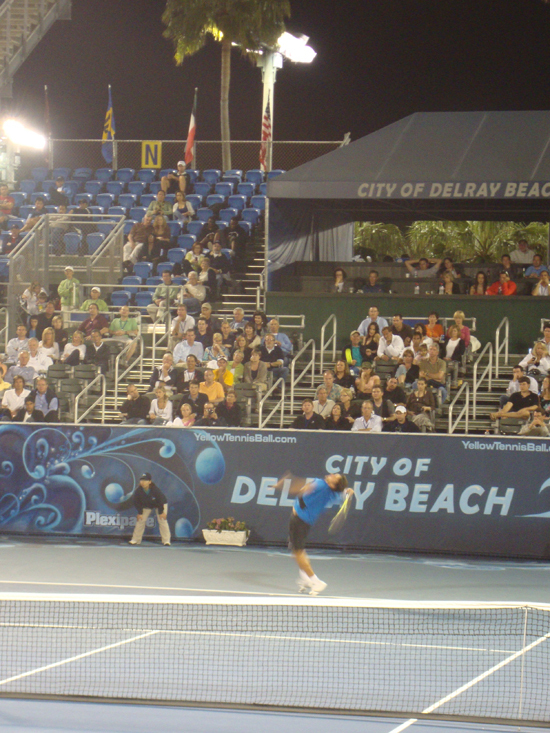 This Delray Beach tournament consists of the only combined nine day ATP Champions Tour (Feb 20-23) consisting of former No. 1 ranked players (i.e. John McEnroe, Mats Wilander, Pat Cash and more) and ATP World Tour (Feb 22-28) featuring James Blake, Bryan Brothers and more. 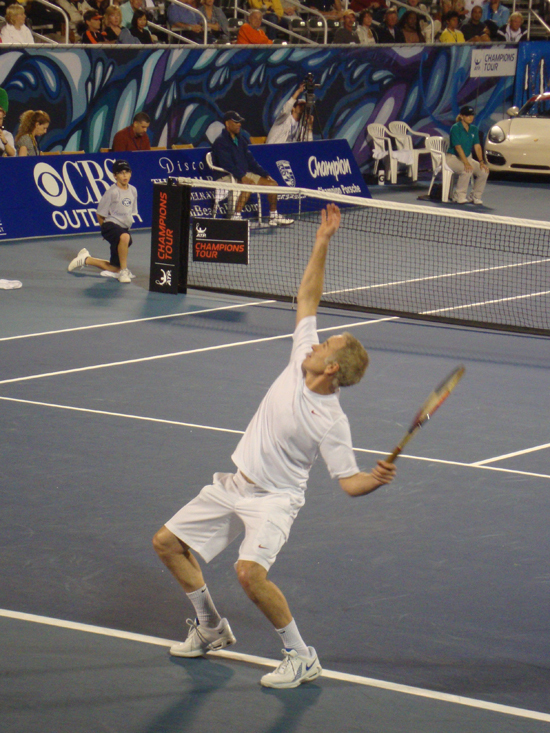 We watched American tennis bad boy, John McEnroe battle it out on center court against Patrick Rafter of Australia. John’s hair is now gray and Patrick has forgone his pony tail for a clean cut, but both players played a tight match including tie-breakers. I liked the added touch of the ball boys and girls dancing between sets as well as a dance squad. It added a bit of frivolity to the night. The following day the past champions held a clinic for the Boys and Girls Club kids of Palm Beach County. The Boys and Girls Clubs of Palm Beach County is the County’s largest youth development organization which provides services to the neediest youths through a holistic approach. They offer youngsters programming in six core areas: health and fitness, character and leadership development, education and career development, sports, fitness and recreation, technology and cultural arts. Hope Gainer, president of Hope International is a global imagemaker, marketer and branding expert with 30 years of lifestyle experience with a focus today on the luxury market. She produces unique, upscale events around the world. Gainer is a founding member of the Florida Luxury Council and a contributor to several luxury magazines including Elite Traveler and Haute Living. She also represents spectacular ‘trophy’ real estate properties.